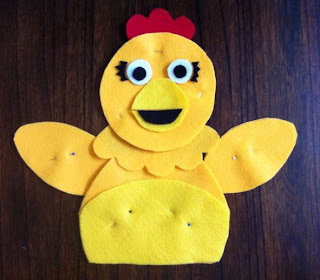 A friend of mine was mentioning on Facebook that she was unable to find a Chica puppet for her little girl, and that there isn't merchandise from the Sunny Side Up Show. 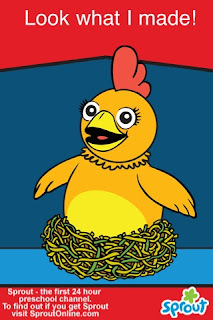 Since I always need a new project, I googled what the Sunny Side Up Show is, what Chica is, and realized, "Hey, that's not as hard as I thought it would be." So off Mr. Ben and I went to the store to get felt, and I managed to sketch out a workable pattern. 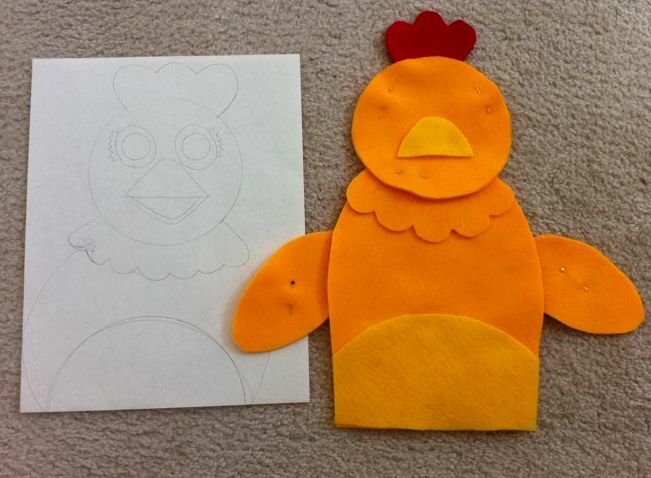 It still needs to be sew together, but I'm thinking it is coming along fairly well. The color is somewhere between both pictures, they are taken with my iPhone so I could upload to Facebook.